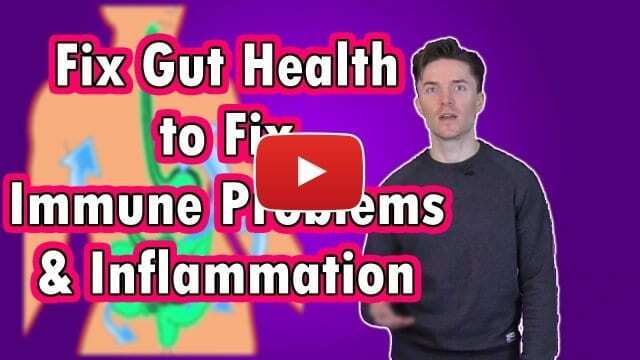 Why is gut health important? What is autoimmune disease? What causes inflammation? How do you boost your immune system..? …Imagine a top student from a highly intelligent alien race was taking an exam on interplanetary biology. A question comes up asking the alien to take a quick look at the anatomy of this strange looking species from the planet ‘Earth’ who call themselves ‘humans’. The alien was then told that these ‘humans’ experience many different health problems… but the question did not reveal any specific problems. The question only revealed the complete anatomy of an ordinary ‘human’. Being a top student, the alien consults the anatomical data of the ordinary ‘human’ and answers: “The part they call their ‘gut’”, and then moves onto the next question. Why is this? Why, without knowing the specific mechanisms behind each health condition, does it make COMPLETE sense that the gut would be the likely source? And how can it be possible for the gut to determine the health of the body OUTSIDE of the gut? And why is the gut any more likely to be the source than OTHER parts of the body? How about some product reviews? “Thank you for bringing this wonderful product to market. “I am 67 Yo and have suffered with autoimmune disease manifesting in Depression, Lupus and Parkinson’s Disease (at least) for many years. “I have studied and worked very hard at regaining good health. “A few years ago I changed to a Paleo diet and started taking (relatively) high dose probiotics. Some benefits ensued however I was not able to clear the (lupus) rash from my face. “(I have a rash that comes and goes according to how well my digestive system is working on any given day. I get a health report every morning when I look in the mirror to shave…and then know what to expect for the day.) And I could never really say I had good health back. 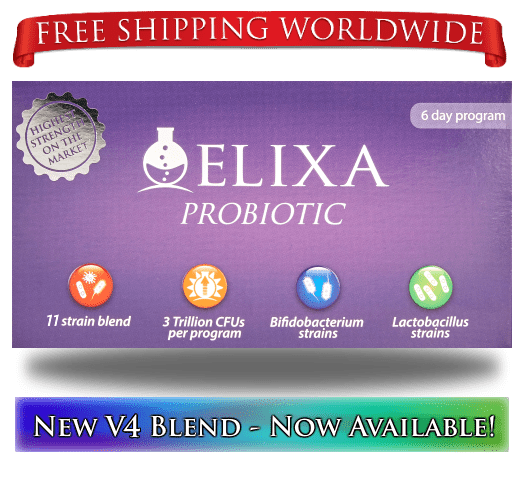 You can also view the whole archive of Elixa Probiotic posts of made right here. Richard, how’s your health these days? I have Hashimoto’s too, and about 4 years ago stumbled across you, Tim, Dr. Ayers, and Grace. I was plagued with symptoms at the time – extreme fatigue, insomnia, muscle weakness, constipation, migraines, depression, etc. I was 23 and had developed all this rapidly around the age of 8, officially diagnosed with Hashi’s at 12. I was very healthy before that, and have no idea where my rapid downturn came from at that age. Anyway, once I discovered this little corner of the health sphere, I dove right in. Started megadosing all the SBO’s I could, multiple times per day, along with a tremendous amount of RS, inulin, acacia, Larch AG, etc. After a miserable first week with up to 15 motions per day (I pushed through, madly), everything normalized in the most spectacular fashion. Every single one of my symptoms resolved. I mean ALL of them. I was in another world entirely. Filled with explosive energy, needing only 5-6 hours per night, jumping out of bed with a smile on my face. And my stools were perfect. After a couple weeks, I decided I wanted to stop and see if I could re-add the components one at a time. I had no idea what was the most significant factor, and I wanted to do it properly. Idiotic move. Within 4 days, all my symptoms came back with a vengeance. When I tried to reproduce the experiment, I couldn’t! Just got insanely bloated, fatigued, and more constipated than ever. I’ve tried to reproduce it many times since, and have never met with any success. I’ll be trying it once more here, and we’ll see what happens. After 4 days of discontinuing the full mix, your symptoms returned. You were experimenting with reintroducing one fiber at a time to check which fiber was having which effect (correct?). 1. Which fiber did you test first? After things took a downturn, you decided to go back to what had worked before: the full mix of fibers. 2. Was the mix exactly the same ratio and total grams that you had used the first time? Including the same exact brands for each individual fiber? Did you persist with it for the same length of time? 3. How has your diet varied between when you first tried the fiber mix and the second time you tried it? P.S. I have heard from several people about benefits from prebiotics suddenly taking a 180° turn. Hi Richard – I found your blog looking for information on psyllium fiber and glucomannan in an effort to help my rescue dog feel ‘fuller” as I try to manage his weight downward. I stumbled on a 2014 blogpost of yours with extensive commentary that while only laterally relevant to my original search caught my interest for personal health reasons.